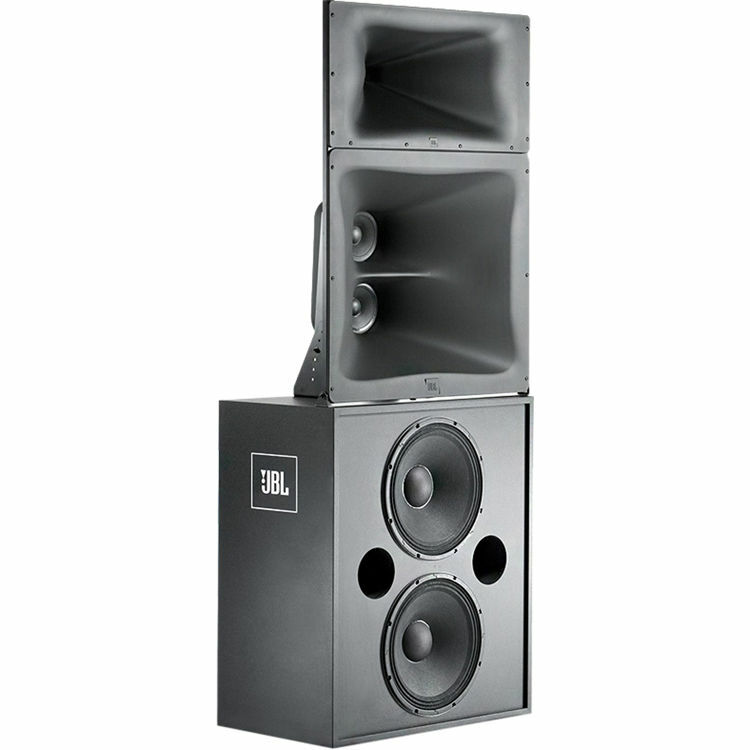 Designed to accurately reproduce digital cinema soundtracks, the bi-amplified JBL Professional 3732 is a 3-way cinema passive loudspeaker system that provides superior coverage, maximum power handling, and uniform acoustic power output, along with low distortion. The system's wide dynamic range and extended bandwidth reproduce sound exactly as it was recorded. The low-frequency enclosure features two 15" drivers, while the dual 6.5" mid-drivers and 3" high-frequency compression driver are equipped with molded waveguides. The compression driver waveguide compensates for high-frequency spreading caused by perforated screens for improved audience coverage. The ScreenArray design provides an ideal power response and directivity control with seamless transitions between acoustic sections. The shallow profile of the JBL 3732 is ideal for minimum behind-screen depth requirements.